As with all of the holidays, I had big plans for Ethan's first Thanksgiving. The crafts, the activities, the silly turkey outfits and the photo opportunities they provide -- we were ready for it all! Then he got sick. As the days have gone on, both Ethan's treatment and illness have become more intricate. On Wednesday morning, he was diagnosed with RSV. While this had been our doctor's hunch as his symptoms continued to come forward, it still makes my heart uneasy to know the name of the virus that has been wreaking so much havoc on my son's tiny body. RSV has been spreading like wildfire throughout our county and when I hear it mentioned on the news -- those three ominous letters -- I feel like I'm being punched in the stomach. 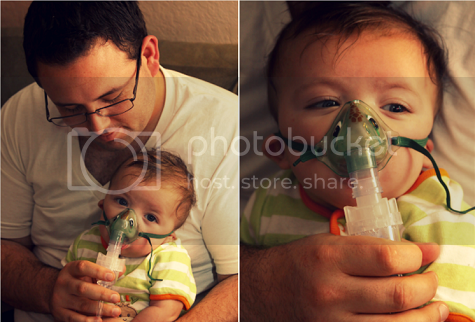 Ethan began steroids for his lungs yesterday and we're continuing his breathing treatments every four hours. He watches me open the albuterol packets and begins whimpering apprehensively. I feel like the cruelest person in the world when that happens. 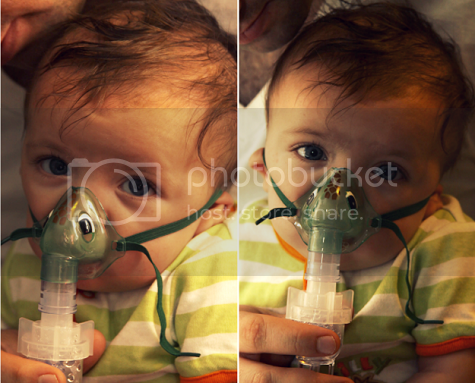 The nebulizer isn't his friend, even with the adorable dinosaur mask that our pediatrician gave him yesterday morning. There's something about the sad way he looks up at you with those big eyes, whimpering with misery as the breathing treatment hums on. It's heartbreaking. This afternoon, he went down for a nap and I stood in the bathroom and cried. It's been exhausting, it's been stressful, it's simply been heartbreaking these past few days. It's been a far cry from the Thanksgiving holiday that I anticipated and planned for. During those stressful moments when you're worried about proper hydration and your child has just vomited up the contents of his belly and you're listening to the rattling wheeze that comes from his chest and lungs with every breath, it's hard to say you're thankful for much. And then the alarm goes off at 3:00 a.m. because Ethan is due for a breathing treatment and I lean over, kiss his forehead and know that I have everything in the world to be thankful for. He is mine and he is here and thus I have everything in the world. 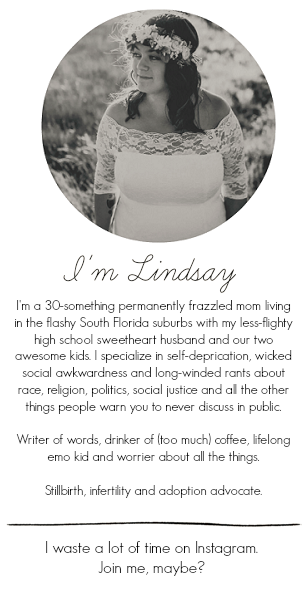 Lindsay I know that has tone do hard. I will be praying for little Ethan, and for you guys, that he can heal quickly! Following you from Thirsty Thursday (onceuponapenguin.blogspot.com). My oldest had this when he was just a baby. Rough rode, but all is well now. Hoping the same will be for you guys. Aw, poor little sweetheart. I wish your little man a speedy recovery. Stay strong mama! Aww poor Ethan!! My Ethan had baby asthma quite badly, so I know how you must feel! Hope its something that he will grow out of the way my little guy did.